We recently celebrated a 6th birthday for the twins! 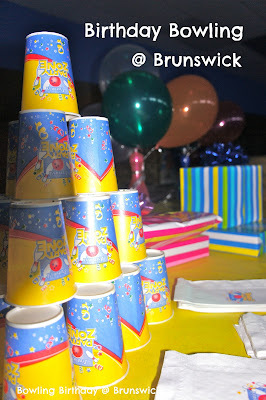 Because are taking our first BIG family vacation this summer, we tried scaling down the birthday party this year. at the same Brunswick bowling alley, and so we did! We kept the guest list just short - parents, brothers/sisters and their families. 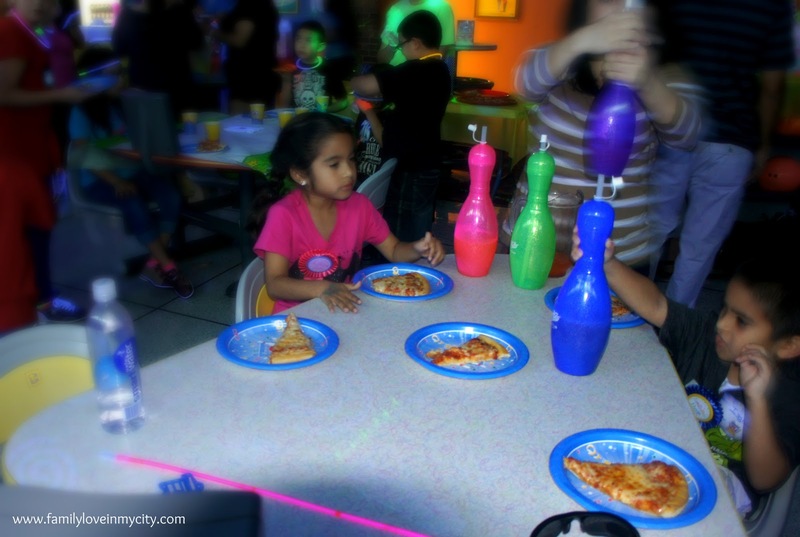 Two hours of cosmic bowling, one lane for kids, one lane for adults, pizza, drinks, bowling ball sippers, glow necklaces and a party host for around $200! 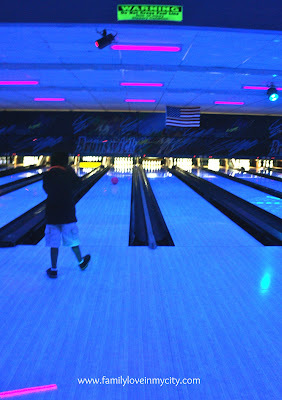 This was a great deal in comparison to other bowling and birthday party venues. And it was something different for us. I was so pleasantly surprised on how much fun everyone had! I even saw my Dad bowl for the first time! Have you taken your kids bowling yet? Have you heard that students bowl free during the summer?